2.25" X 6" fits perfectly in a missal or prayer book. Beautifully drawn by Cate Clough and printed on card stock. Contemporary yet traditional. 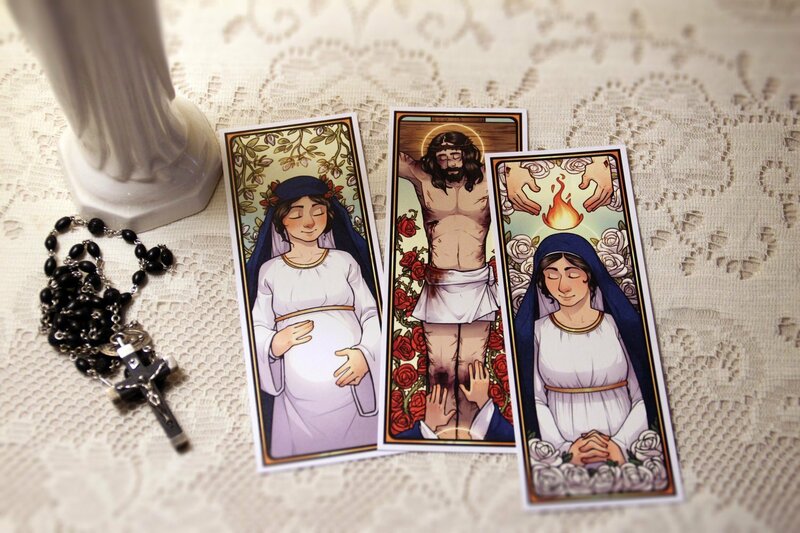 Each card shows one of the three, traditional mysteries of the Rosary and its corresponding Grace. Perfect for younger and older Catholics.